Join us for a special Chinese for Affirmative Action 50th Anniversary event about K-12 education. 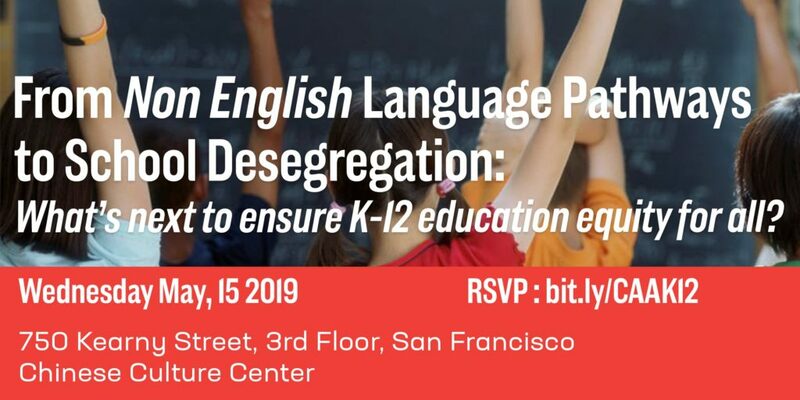 Improving the quality education of English language learners, segregated schools and engaging their families continues to be a challenge today. Join us on the 45th anniversary of Lau v. Nichols to discuss the future of Asian Americans in K-12 education that builds on CAA’s groundbreaking work from the past to today.